Mobile operator 3 would like to see the E.U. step in and regulate the European mobile-data roaming market, a stance that puts it at odds with a majority of other operators. When Viviane Reding, commissioner for information society and media, on July 15 said that she is considering regulating mobile-data roaming pricing, the reaction from industry organization the GSM Association was immediate. It said regulation isn't necessary since operators are already lowering prices and taking steps to improve transparency and that regulation, in fact, jeopardizes the future of mobile broadband. But 3 thinks the opposite is true, that regulation is necessary for future growth. Today, most carriers are perfectly content charging a few customers a lot, instead of charging many users less, according to William Pedder, director of corporate affairs at Hutchison Whampoa (Europe), which owns all of or a majority of 3 in the U.K., Ireland, Italy, Austria and Scandinavia. 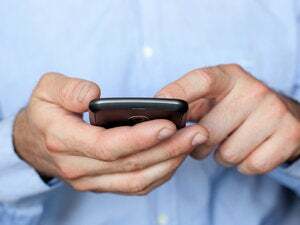 "The situation is absurd, operators are actually preventing subscribers from using their own service by charging extortionate amounts for data roaming," said Pedder. 3 isn't in favor of regulating all aspects of the market, only the wholesale part, which is what operators charge each other. If you regulate that part of the roaming market, the rest would fall into place, according to Pedder. 3 thinks a fair wholesale price would be &#8364;0.25 (US$0.39) per downloaded megabyte. Earlier this year it signed a deal with Dutch operator KPN, which also owns BASE in Belgium and E-Plus in Germany, to charge each other that amount. "Operators could charge 25 cents and still make a profit, since the actual cost is significantly below that, said Pedder. Today, end users in Europe pay between &#8364;0.25 and &#8364;16 per megabyte, according to the European Commission. Pedder questions if there is a political will in the E.U. to regulate the mobile-data roaming market, but at the same time he thinks more cases of bill shock will change that, and encourages users to put pressure on local politicians.